on NBC tonight! Oh, I just love those Hollywood awards shows and have, since I was a kid. I’m not exactly a “kid” anymore but would have never imagined when I was, that I’d actually have the chance to work behind the scenes, making some of the guests in the audience look like a million bucks. 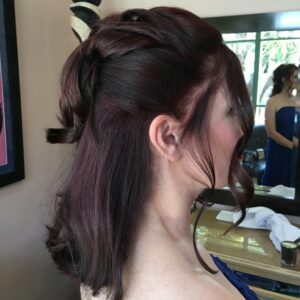 Earlier this year, I had an exciting honor, styling hair for the wife of the the producer of the hit movie, Boss Baby. (Oh, my late mother would have been so proud of me.) And, I must say, when I was done, she was as pleased with how her hair looked, as I was to do it. 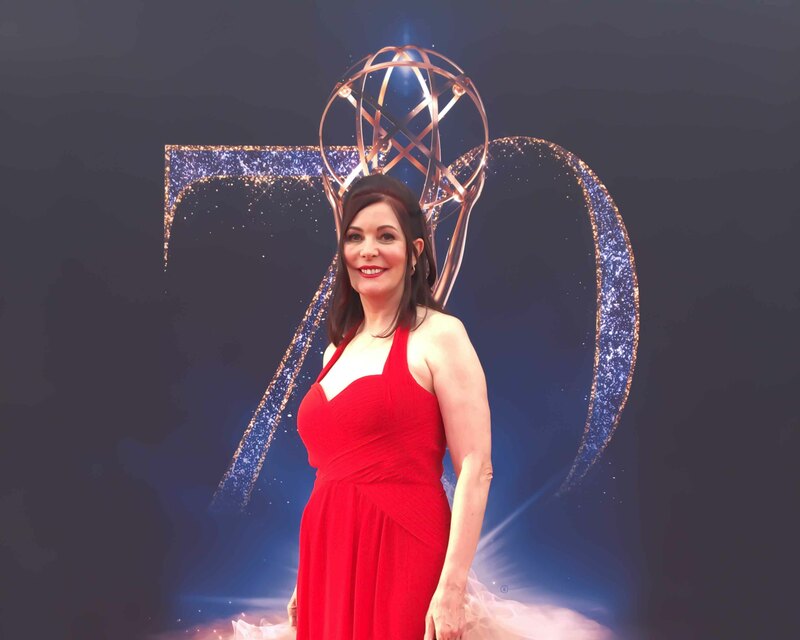 The 70th Primetime Emmys will be held tonight but you may not know, there’s a lead-up event to tonight’s big show, the CREATIVE ARTS EMMYS. Held at downtown Los Angeles’ new Microsoft Theater, these awards honor outstanding technical achievement in a wide variety of television programs. They’re the people you don’t see on camera, who work hard behind the scenes in production, getting those fabulous TV shows you love so much from Hollywood to your TVs, tablets and smart phones. 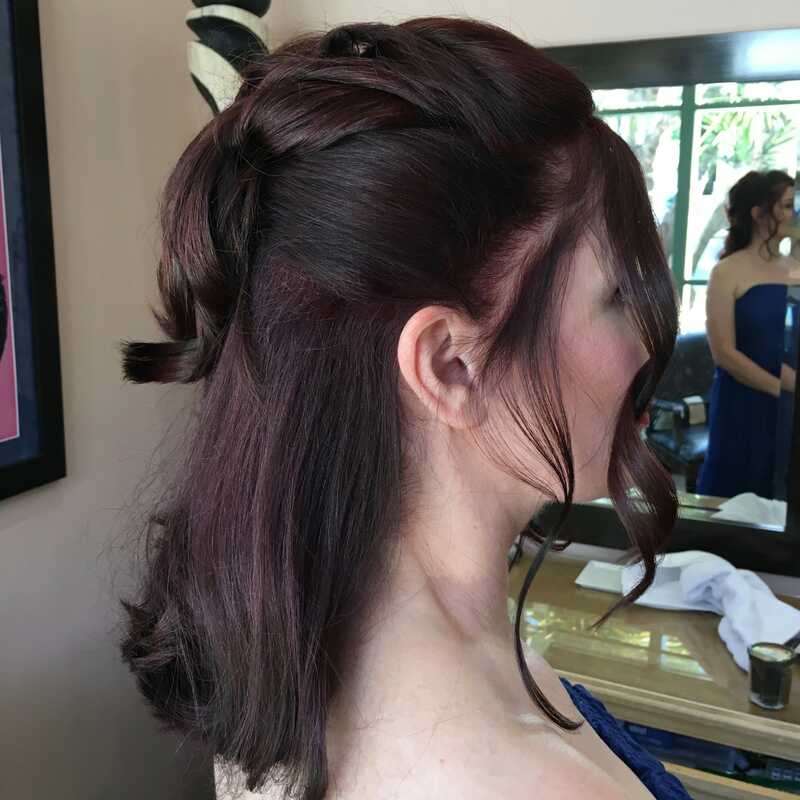 The Creative Arts Emmys were held September 8th & 9th and I had a hand well, actually, two hands, in doing the hair for the wife of one of the night’s nominees. He’s the sound technician for one of my favorite shows, THE VOICE. (Don’t you love it?) So I was doubly thrilled having the chance to do his wife’s hair. It was so much fun, not to mention exciting, on a couple of levels. That’s because I got to do what I do best, hair. I cut, colored and styled her hair and, I have to say, styling is the favorite part of what I do. That’s because it gives me the chance to really show off my own talent. And nothing makes me happier than seeing a lady, or man, look in the mirror, see my work, smile and say, “Thank You, Michael!” Hey, the pleasure was all mine. I hope you’ll give me the opportunity to show you just how beautiful I can make your hair. It’s what we do best here at MJ Hair Designs. 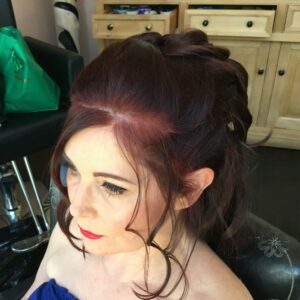 Just like the two beautiful women whose hair I did for the Oscars and the Emmys, I can make you ready for your own close-up, too. Let me prove it to you! Ooops, popcorn’s ready and the show’s about to start. I’m so excited. Oh, who will win?